This is a follow up post to yesterday’s introduction & chapter 1. 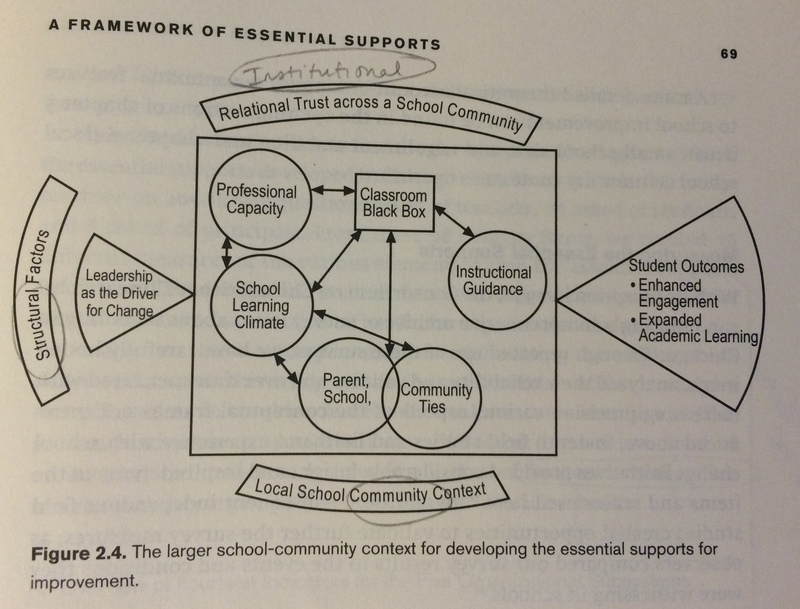 I’ve been enjoying this reading immensely because it quantitatively presents an understanding the support systems of a school and shows interactions between them. Many of the questions that I have had around emergent properties like how innovation affects school culture could be approached with these methods. 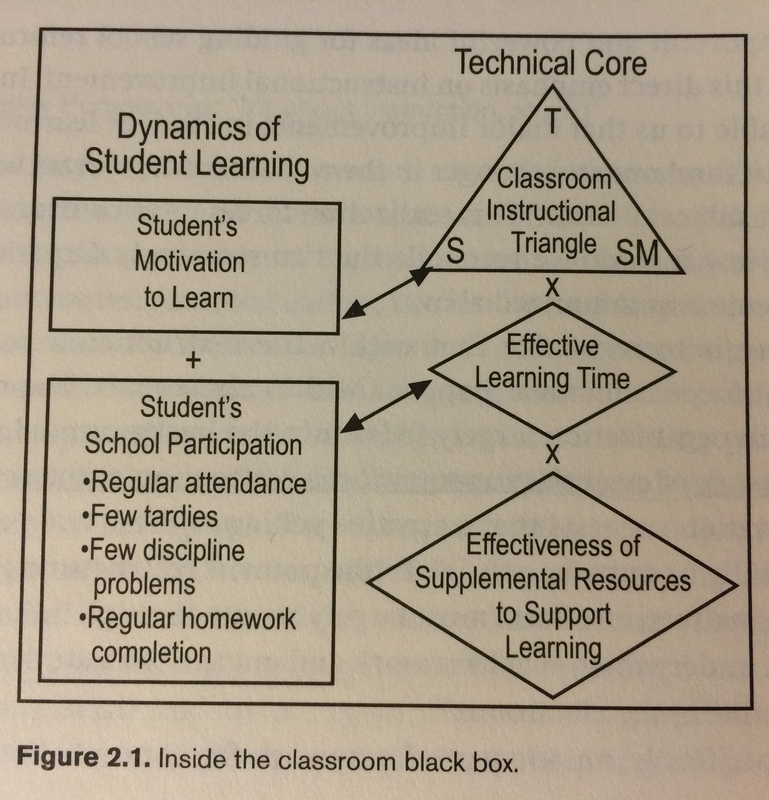 The primary phenomena investigates is “how to better organize schools to support improvements in student engagement and learning” (p.48). I find myself drawn to this more descriptive approach to research rather than as an interventionist. I think this is because the questions that I ask are on a large scale, so the idea of creating an intervention to “test” them would take years. It makes me think of the Hertzpring-Russell diagram, a plot of the absolute magnitude and temperature of stars, revealing the “main sequence” of stellar evolution. I wonder if I could make something like that for restructuring of schools… Hmmm. In this chapter the thrust is to explore the framework that emerged from the data. It’s worth noting that the criticism of business in the mid 80s was that large bureaucratic organizations were failing because they did not “respond well to local needs, had little capacity to learn, and stifled rather than nurtured innovation” (p.46). Sounds like the Chicago Public Schools, thus the Chicago School Reform Act. With more autonomy for restructuring at the school level, it makes sense to look at the school as the unit of research. This departs from some reform efforts at that time, which focused exclusively on instruction and the role of the principal as instructional leader. Second, the framework is meant to be analytic, in the sense that a practitioner could use it as a tool to guide school improvement. (This resonates with me after what I said above about creating a H-R-like diagram of school characteristics that creates a “main-sequence.”) The framework is based in organizational theory but also informed by contingency theory, given that this is an analytic tool meant to guide school improvement rather than a recipe for how to do the best school improvement. They get at this with the “baking a cake” analogy to the concept of “essentiality.” You have to have certain ingredients (e.g. flour, sugar, eggs, baking powder, and salt) to make a cake, but the exact ratios are a little flexible. This is like school improvement: without one ingredient, the improvement isn’t going to happen. On the other hand, focusing exclusively on the exact right amount eggs also isn’t going to make it happen if you’ve got no flour. This is why it’s emergent. All ingredients need to be there. Figures 2.1-4 – these give the four levels of organization. An interesting component that they notice was missing from their data collection is the managerial dimension of school leadership. The researchers note that this became obvious after 1996 when the focus was on non-improving schools and found that there were schools where just the basic routines were not getting done. Management is a necessary but insufficient condition for improvement. 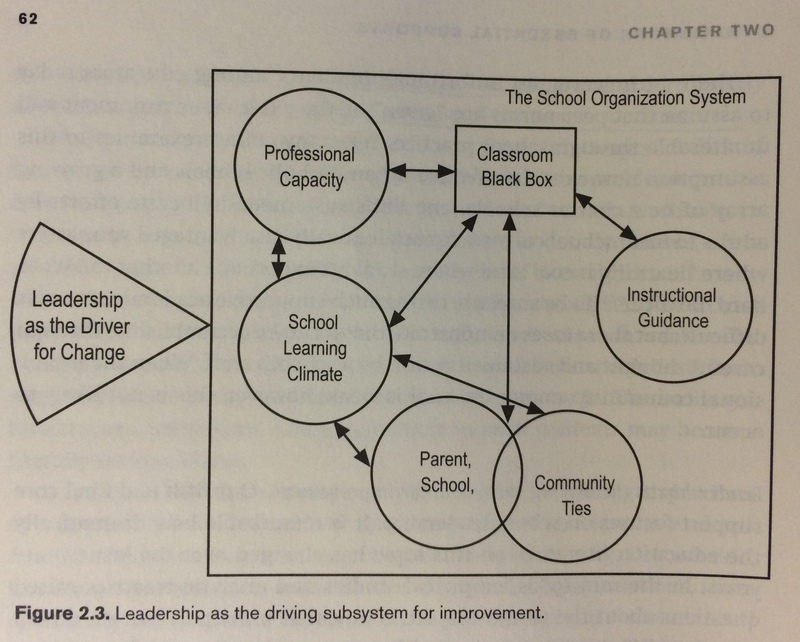 5 subsystems: School leadership, parent-community-school ties, professional capacity, student-centered learning climate, instructional guidance. 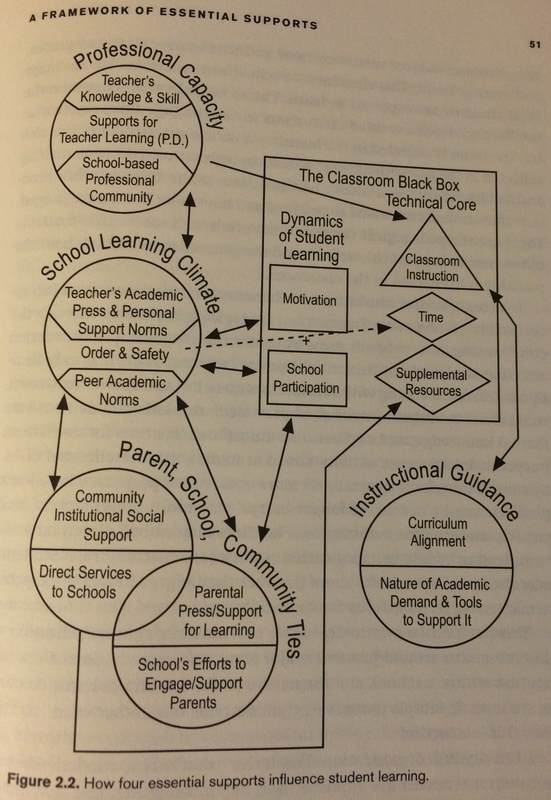 There are 14 indicators for these subsystems developed to “capture the degree to which the essential supports developed in Chicago elementary schools” (p.71).